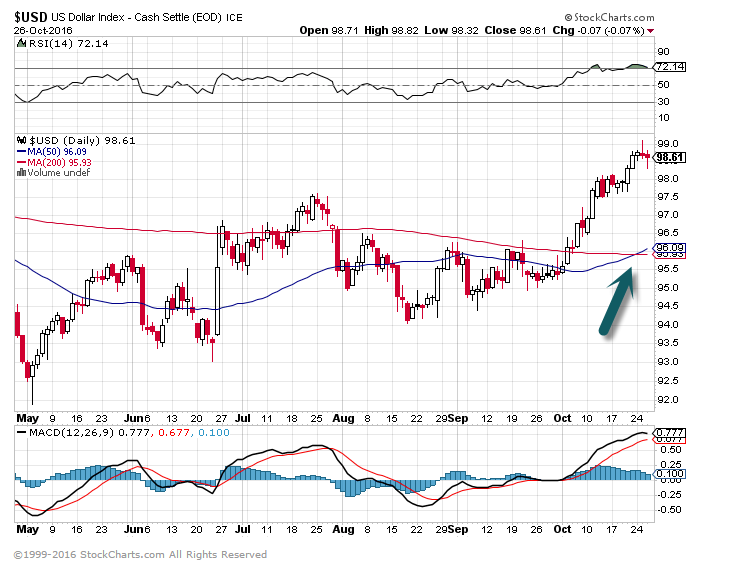 U.S. Dollar Chart…See Blue 50day Crossing Thru Red 200day. 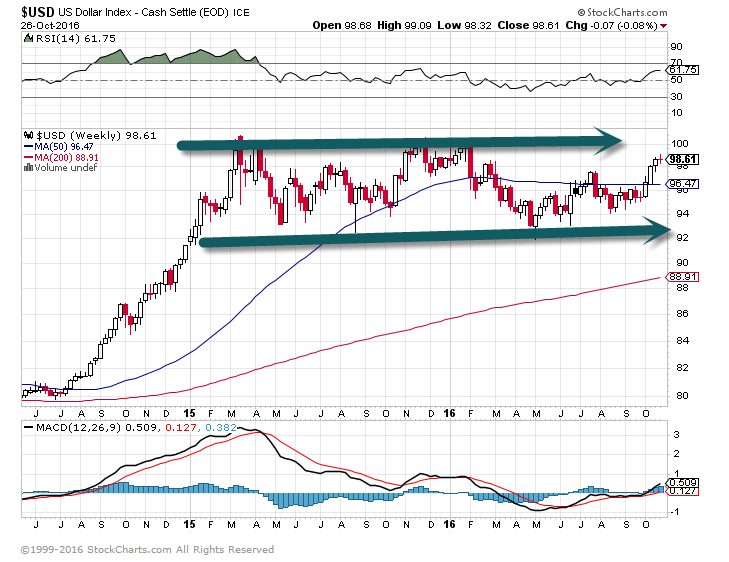 Longer-Term Dollar Chart…Watch for Break Out Above Band Going Back to Jan. 2015. 3. China Also has a Gen Y and they are Changing the Culture. “Experimenters, moon-shooters and diverse” are the words 17-year-old Shanghai high schooler Owen Xu uses to define his generation. Meet China’s millennials — a generation that’s more risk-taking and idiosyncratic than its predecessor. And they’re dreaming big. Having grown up in a booming economy that grew nine-fold since the turn of the century, China’s 7.5 million school leavers this year are intent on forging paths very different from their parents, who defaulted to the factory floor, construction site or staid state-sector job. 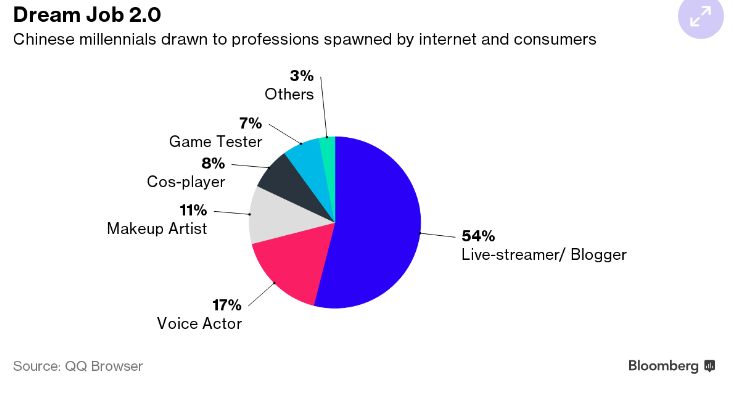 About 48 percent of those born after 1995 don’t want to enter the traditional job market upon graduation, according to recent research by QQ Browser, part of tech giant Tencent Holdings Ltd., which polled 13,000 college students and mined data from its 84-million daily internet search traffic. 4. 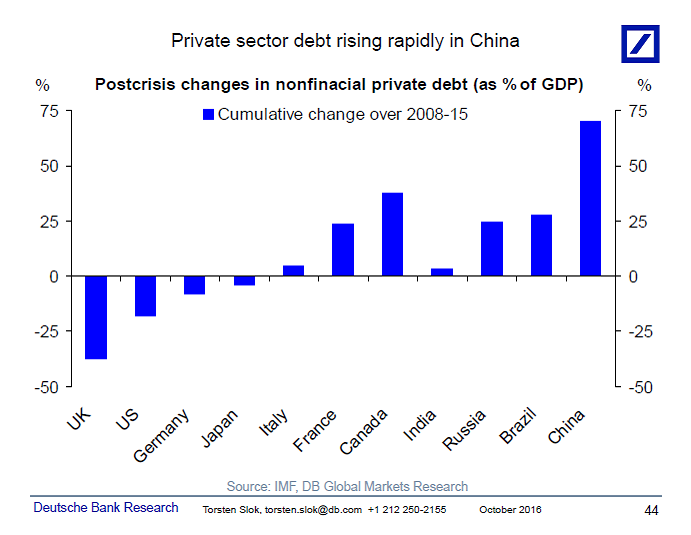 Private Debt in China…75% of GDP. 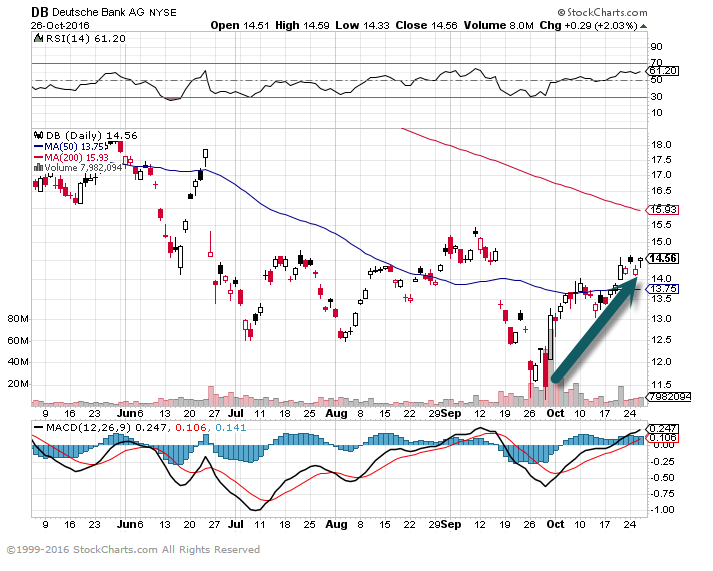 Interest Rates in U.S. and Yuan vs. Dollar will be Charts to Watch. 5. 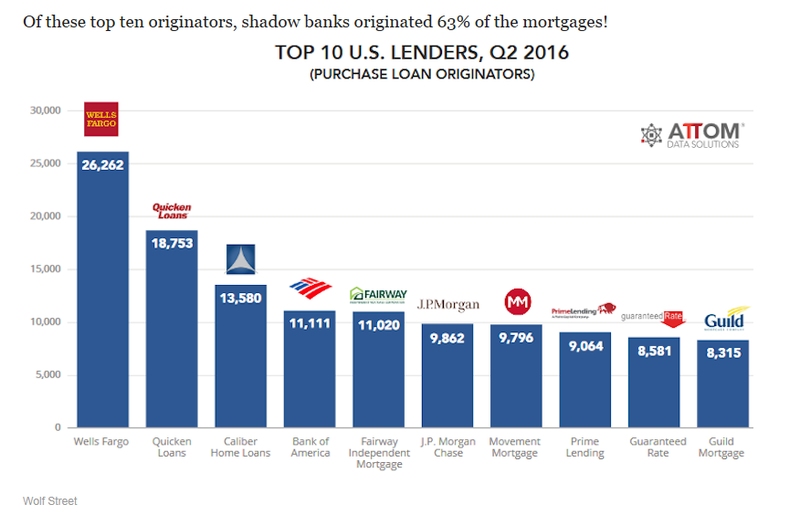 Shadow Bankers now Dominate Lending to Risky Borrowers with Government Backed Loans…VA and FHA. 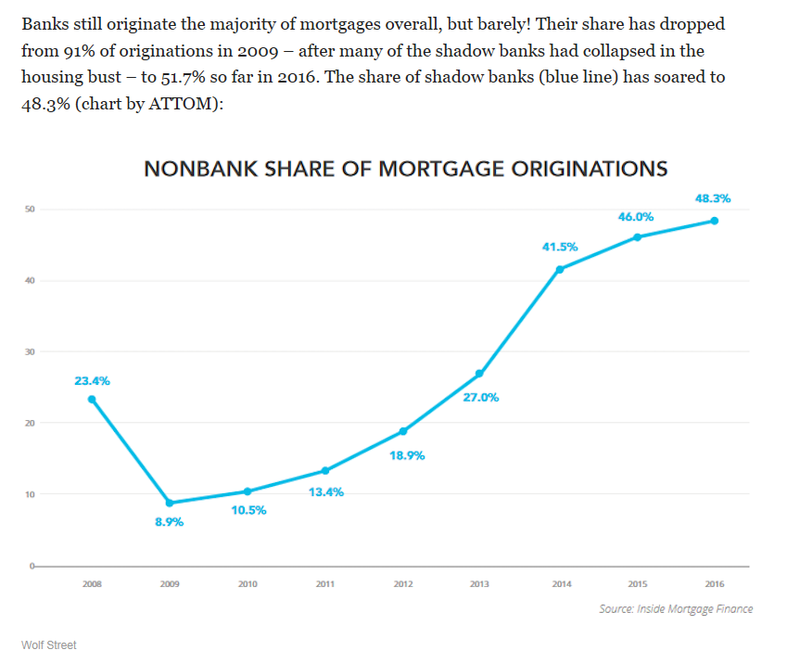 Traditional Banks Share of Mortgage Lending has Dropped from 91% in 2009 to 51.7% in 2016. I will do some more work on this topic going forward. 7. 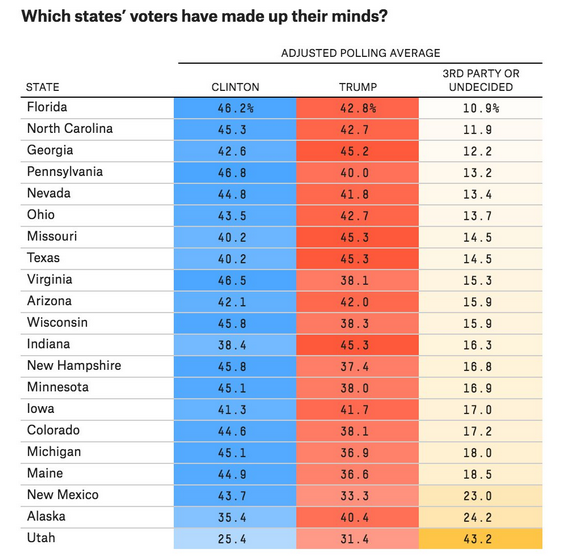 Which states have most undecided voters? In a tense and uncertain job market, the advice on how to succeed doesn’t change. wise heads speak about hard work, seizing opportunities, taking calculated risks, following your passion, and so on. Let’s set this advice aside for a moment. 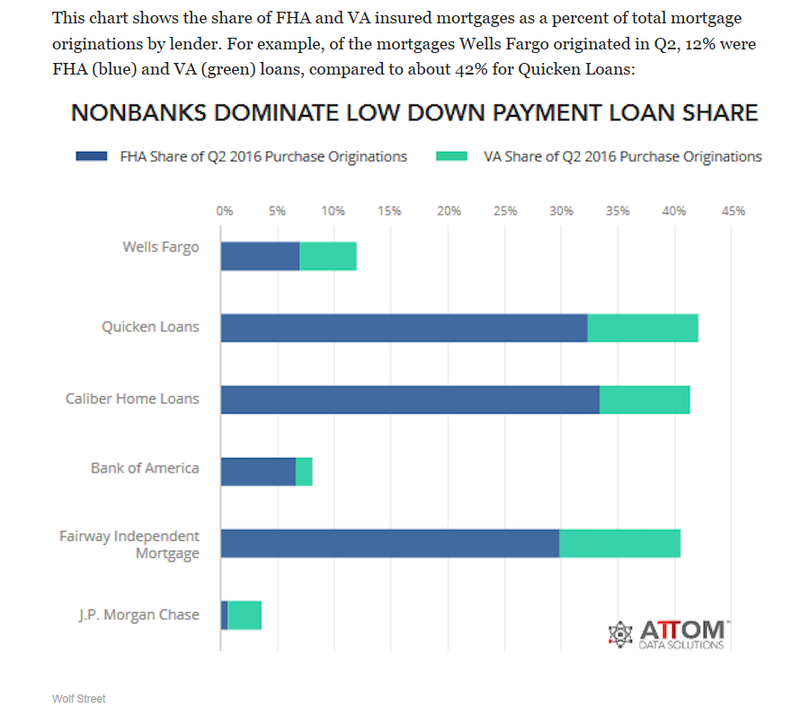 More attention needs to be paid to what not to do, especially now, when opportunities for many appear to be shrinking. There are three common mistakes that people make in their careers, not just at the entry level of when changing jobs but endemically. 1. Setting your expectations too low. 2. Feeling that you have to be certain. 3. Not seeing how much you will grow. Let me explain each one, although in the end they are intimately connected. jobs. It’s not really the job that keeps anyone stuck; it’s the psychological limitation of setting your expectations too low. Life is uncertain, and the vast majority of people feel so uneasy about this that they seize on certainty when they shouldn’t. They follow the opinions of the people around them, go to work where they are expected to, and only feel secure when they fit in. Yet real success is built upon making peace with uncertainty, turning the unknown into a field of creative possibilities. Personal uncertainty is hard, undoubtedly. It takes a conscious effort to place yourself in a position where things are open-ended. but if you don’t, the other alternative is being in a position that’s closed off. Most job interviews follow the same pattern, where the applicant tries to prove, even before setting foot in the door, that he knows how to handle the job. This ritual is empty, a piece of drama that’s supposed to show confidence. In reality, great careers are built on growth. Seeing your own potential to grow isn’t easy, especially when you are young. But it’s a mistake not to see that you will grow, meaning that your future self, although out of reach, has an enormous amount to offer. What you can do today, what you know and how far you can see–this is all provisional, awaiting the mysterious process of growth. 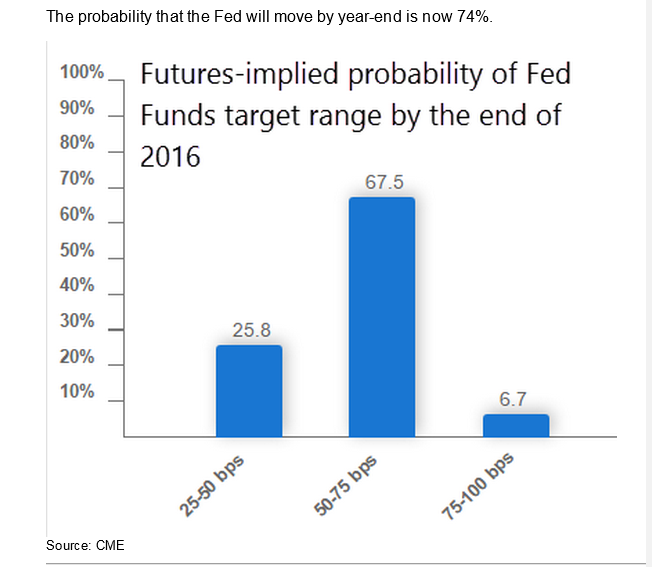 What ties these three mistakes together is everyone’s inability to predict who they will be in the future. Insecurity, anxiety, and the pressure to hold a job are powerful forces. They tempt us into believing that we will always feel what we feel now, always think the way we do now, always see the world through the lens of the present anxiety. The need to feel secure is what gets most people into trouble, which is why the three big career mistakes are so prevalent. I need to find out who I really am. I want to expand and grow. 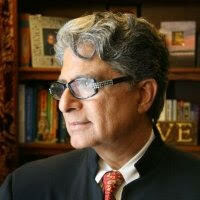 I must have a vision that I can follow for years, an aspiration that fits my highest self. I will keep evolving without limit. I listen to my surroundings and act on the signals being sent to me. I keep an open mind. I have learned to live with uncertainty, turning fear into a belief in the wisdom of uncertainty. I listen inside to make sure I’m being true to myself. I admit when I’m wrong and turn this into a way forward. This may seem like a long list, but if you want a single productive change that grows out of it, here’s what works: Associate with people who hold these ideas and follow them. You don’t have to enter a formal mentoring relationship; in fact, it would be better if the people you bond with are your own age. As a group you can form an echelon of shared beliefs to support and encourage one another. Then the job you are holding, good or bad, is secondary. Primary is your sense of promise, which grows and expands naturally. That’s an ideal you can begin to attain today.